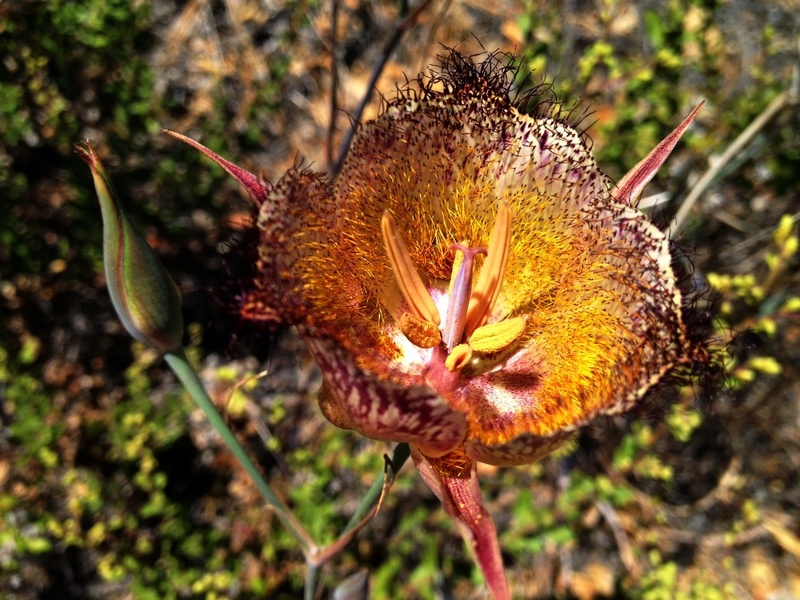 Calochortus fimbriatus, the late-flowered Mariposa lily, is in bloom at the moment in the Santa Ynez Mountains. A patch of the flowers thrives in the droughty dryness and summertime heat on a south facing rocky hillside at this particular location. 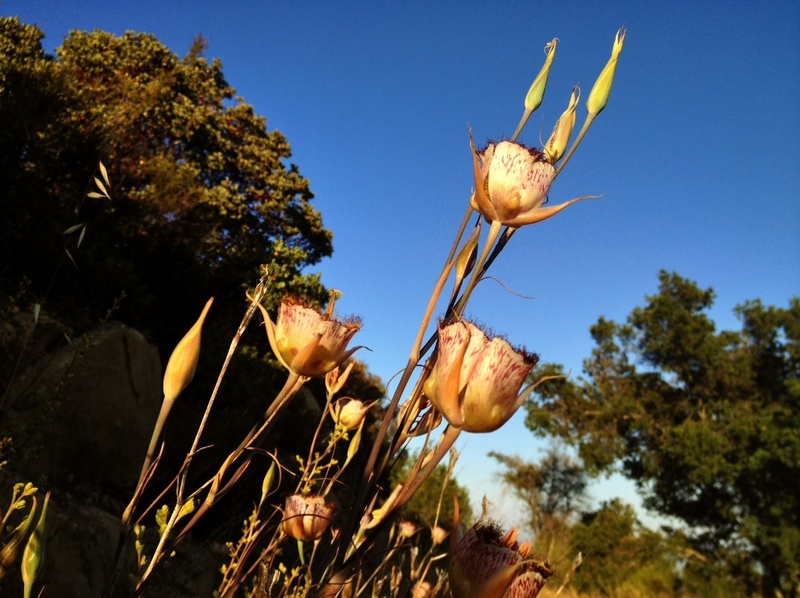 This entry was posted in Santa Barbara County and tagged Calochortus, Flora, Hiking, Hiking (2), iPhoneography, Los Padres National Forest, Mariposa Lily, Nature, Photos, Rare Plants, Santa Ynez Mountains, wildflowers. Bookmark the permalink. Beautiful. Is that listing open to the public? I’m kind of hoping it isn’t. What do you think? I saw a bunch of these recently on a hike not too far from Santa Barbara. I am glad to know what they are now! Thanks!